This article provides a practical explanation of the Elaboration Likelihood Model (ELM). After reading, you’ll understand the basics of this powerful communication tool. 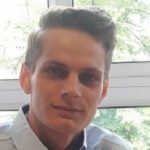 What Is the Elaboration Likelihood Model (ELM)? The Elaboration Likelihood Model (ELM) of persuasion is a dual process theory that describes the change of attitudes and behaviour. The theory explains how attitudes are formed and reinforced by persuasive arguments. The idea is that when a person is presented with information, this person will process this information on a certain level of elaboration. In this context, this means the effort a person takes to evaluate, remember and accept or reject the message. According to the model, this is possible in two ways. The level of effort can be low or high. The level of elaboration subsequently determines the processing route the message takes: central or peripheral. The Elaboration Likelihood Model (ELM) has been designed to discover how it’s possible that there are differences in persuasion and how these differences affect people’s attitudes. Elaboration in this model therefore refers to the cognitive action that occurs when analysing a persuasive argument. In other words, why does person A make another decision after hearing the same argument than person B? Furthermore, the Elaboration Likelihood Model (ELM) describes the basic processes and variables in persuasive communication, such as in a sales pitch. It also measures people’s willingness to engage in elaboration. This depends on their motivation and competence. In general, people are more motivated to elaborate when the message is important to them. Competence refers to the knowledge and other means that are required to evaluate all aspects of an argument. The Elaboration Likelihood Model (ELM) was designed by psychologists Richard E. Petty and John T. Cacioppo in the ’80s. Persuasion often has a negative reputation. It’s connected to swindling or to being confronted with things people aren’t asking for. However, persuasion isn’t inherently negative. In fact, persuasion is everywhere, and it’s a process of influence. This influence can be used positively or negatively. In his theory ‘The Dynamics of Persuasion’, Richard Perloff explains exactly what the power of persuasion is. To start, persuasion is communication. The core of persuasion lies in a strong and clear message that is exchanged between two parties. This message is conveyed in an attempt to persuade. The success of this attempt depends upon how well the target audience is known and understood. Persuasion isn’t just about the words in the message. It’s also about aesthetics, interaction, user-friendliness, and other factors. This means that persuasion isn’t force. After all, in that case, the second party wouldn’t have any say in the matter. Rather, persuasion is about changing the other’s opinion by means of good arguments despite counter arguments. According to the Elaboration Likelihood Model (ELM), persuasion can reinforce attitudes. Academics have tried to explain how persuasion works on individuals and their behaviour for years, but the authors of ELM were the first to succeed. It became clear that the ELM posits that when a person is confronted with persuasive information, this person will process this on a certain level of elaboration. That means how much trouble this person takes to process, evaluate, remember, and accept or reject the message. 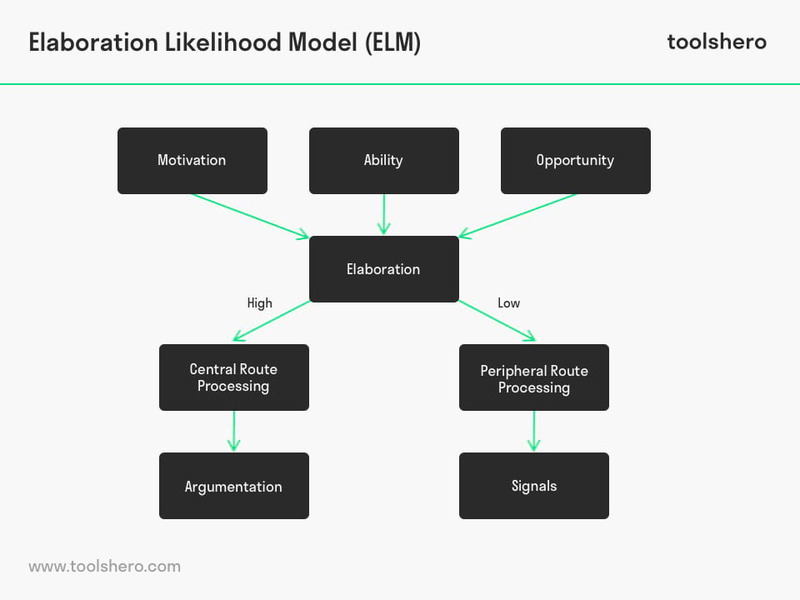 The Elaboration Likelihood Model (ELM) determined that, as a result, there are two routes the message can take, depending on the personal motivation, opportunity, or ability that influence the message. Central route processing entails that the target audience cares for the message and will therefore have a high level of elaboration. In this case, the audience investigate the message’s content, rather than just reading through it. This is because they are highly motivated and know what’s important to them. The central route is powerful. It demands a careful consideration of arguments that are contained in the message. Therefore, the reader or viewer must be highly involved and consider all arguments from every possible angle. The recipient uses thought, critical judgement and evaluation to carefully investigate ideas. In short, central persuasion requires two elements: sufficient arguments and information in the message to analyse this and the recipient’s willingness to engage in elaboration. In peripheral route processing, the target audience doesn’t care about the message as much and therefore has a low level of elaboration. The audience will put less effort into investigating the message and is influenced by secondary factors, such as the source’s credibility, visualisations, presentation, humour, or food. The peripheral route processing is weak, and the recipient’s engagement is low. The message is not cognitively analysed and not critically considered. Therefore, the recipient isn’t sure whether to agree or disagree with the message. He can be distracted from the core by secondary issues such as the packaging material and marketing campaigns. The two most influential factors that affect the processing route a person uses to process the message are motivation and the ability to elaborate. A third factor has been added to this. Motivation can be influenced by attitude. An example of this is the cognitive dissonance theory. Cognitive dissonance occurs when a person experience unpleasant tension caused by contradictory persuasions, ideas, or convictions. Or when he acts in violation of his own convictions. Ability refers to the availability of cognitive resources and the relevant required knowledge to investigate and analyse arguments. The ability to process a message can be affected by, for instance, noise such as background sounds in a quiet library. The familiarity with a subject also determines whether or not engagement to encourage deep thought is achieved. Some psychologists list opportunity under ability, as it particularly relates to time and place and how much time a person has to make a decision. Imagine that two individuals, Daniela and Marta, need a new television. Daniela is very interested in technical gadgets and a regular customer of Amazon. However, Marta very rarely makes online purchases and is particularly interested in getting value for money. Amazon wants to persuade both people to purchase their new TV via their website. Both Daniela and Marta probably have a certain level of central route processing. Particularly the price often plays an important role in this route. Yet, Daniela will be more alert to specifications stated in the message due to her interest in technical features, more so than Marta. Marta simply searches for televisions and filters these from high to low ratings. After having decided which TV to buy, she clicks the option ‘buy now with one click’. This is because Amazon has stored all her information during her previous visits and has already filled this in for user-friendliness. It wasn’t difficult to sell a television to Marta. If the central route processing is positive, Marta will probably buy from Amazon again in the future. This will make it more difficult for competitors of Amazon to convince her to buy from them. Amazon puts in every effort concerning design and presentation. This is mainly done to seduce the casual potential buyer. Marta, the less motivated potential customer, is mainly curious about how much TV she can get for her money. Marta selects the search results with a filter, the price from low to high, and then selects the option that she only wants to see results with four or more stars. She doesn’t take the time or the effort to read the reviews, but settles for seeing the number of stars. Marta then sees the options and selects the television with the highest rating for the best price. Moreover, the website states in large letters that the products are delivered for free. Appealing to the user’s wish to get a good deal is a classic example of peripheral route persuasion. Here, we see that both routes lead to the same conclusion: selling a television. Design elements, specifications, and other motivations aren’t exclusive to a certain route. People often process information at a different level of both routes. As such, both routes supplement each other. Daniela processes the information in the product description with specifications via the central route, but uses the star rating as a scale to estimate how like-minded people evaluate the product. What do you think? Do you recognise the explanation of the Elaboration Likelihood Model (ELM)? What do you believe are factors that affect the way people are influenced? How do you think you can apply this theory in practice? Do you have any tips or additional comments?